President Donald Trump’s oldest child, Donald Trump Jr., shoots from the hip when he talks, and he shoots large animals for fun. These are the main things we know about him. While the former is often more newsworthy, that’s been upended this week, with the Trump administration’s extremely controversial announcement that it will be loosening restrictions on trophy hunting imports from Africa. The reversal of the 2014 ban on the import of elephant trophies from Zimbabwe and Zambia was first publicized Tuesday by the Safari Club International (SCI), an organization that lives and breathes for its five-day “Ultimate Hunters’ Market,” where attendees pay tens of thousands of dollars for permits to kill all sorts of exotic game. Even though elephants have been listed as endangered under the Endangered Species Act since 1978, there’s a provision allowing the government to give permits to import the trophies—i.e. dead animal parts—if there is solid evidence that hunting benefits the species overall. Well, apparently less than four years after the original import ban went into effect, the the U.S. Fish and Wildlife Service has new information showing that elephant trophy hunting in Zimbabwe and Zambia actually benefits elephants. In a week where Zimbabwe’s longtime leader, Robert Mugabe, is being removed from power via what for all intents and purposes is a coup, putting faith in one of the world’s most corrupt governments to manage trophy hunting in a positive way seems like quite the reach. Surprisingly, Trump Jr. has not yet tweeted his enthusiasm about this development. Zimbabwe’s elephant population has declined six percent since 2001. According to the Humane Society, evidence shows that poaching has increased in areas where trophy hunting is permitted. “The information on how trophy hunting funds are distributed and spent is not public, and given the rampant corruption in Zimbabwe, one can conclude that much of it does not make it back to wildlife,” she said. With guns so front and center in this issue, it’s unsurprising that the National Rifle Association is also involved. SCI and the NRA filed a lawsuit challenging the Obama administration’s ban years ago, and are working to make it so that hunters who killed during the import ban can retroactively bring their elephant parts back to the U.S.
Well, at least those elephants are dead already. Dr. Samuel Wasser, director of the Center for Conservation Biology at the University of Washington, told Earther that there is no basis for the reversal of the ban. This is a charged topic to say the least, with the underlying problem being that megafauna across Africa are heading toward extinction. While elephants are doing better, population-wise, than say, rhinos, without effective protective measures, wild elephants could be a thing of the past in the near future. Somewhere around 400,000 African elephants are estimated to remain in the wild, a number that pales in comparison to the 26 million elephants that roamed the continent just over 200 years ago. So-called sport hunters, who kill for recreation and often trophies, frequently justify their actions by asserting that the money they pay for the kill will do more good when put back into conservation efforts. They argue that without this influx of money, many of the rare species targeted would otherwise be more vulnerable to poaching and habitat loss. In some cases where the hunting is well-regulated, such as on U.S. exotic game reserves, this can indeed be true. But with big game like elephants and lions, requiring large, connected landscapes in Africa, it’s a much more complex situation. Simply stating that trophy hunting will be “good for the elephants” makes a lot of assumptions about management, oversight, and follow-through—assumptions that aren’t always justified. “That’s an average of 126,000 trophy imports a year, or 345 a day,” National Geographic notes. The ‘Big Five’ trophy species imported into the U.S. are lions, elephants, rhinos, buffalo, and leopards. Wasser said that there is actually growing evidence that hunting—legal or illegal—can increase human-wildlife conflict by causing elephants to flee areas where they are hunted, making them more likely to enter unfamiliar habitat where they are more likely to encounter crops. The change will not be official until a notice is posted in the Federal Register on Friday, which will presumably include more details on the information justifying these changes. 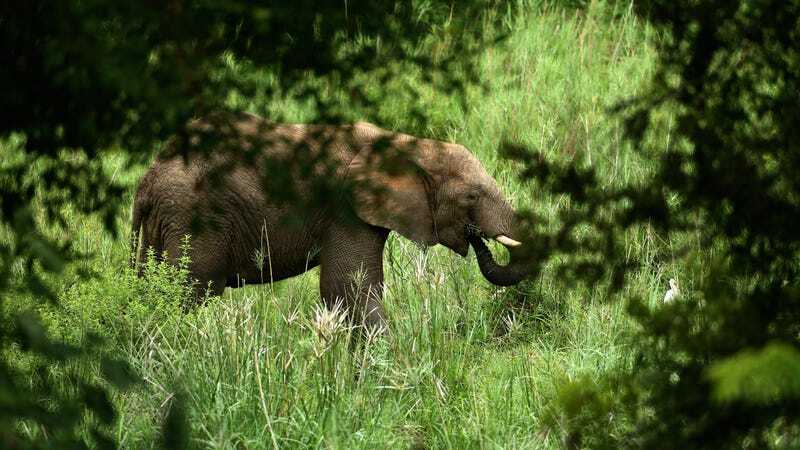 The finding applies to elephants hunted in Zimbabwe on or after January 21, 2016, and on or before December 31, 2018, and elephants hunted in Zambia during 2016, 2017 and 2018. In a rare moment of genuine dismay at the Trump administration by a Fox News host, on Thursday Laura Ingraham wondered the obvious: How will this help elephants? If the administration’s past environmental decisions are any indication, it’s not worth hanging around for a satisfying explanation. Perhaps he heard how upset certain Fox News hosts were about the decision? We’ll update when more information becomes available. Update: A previous version of this post included statements from an outside source that were not properly attributed. The text has been updated to clarify the source of the language and properly attribute it.